What Are the Advantages of Aluminium Radiators? What Are the Advantages of Installing Aluminium Radiators? If you are looking to buy a radiator, don’t be surprised to keep hearing about aluminium radiators. This type is currently more popular than ones made from other materials. Once you learn about its advantages, you’ll understand why that’s the case. The other materials used to make radiators include steel, iron, and anthracite. And this industry is big business. It’s no wonder the product costs for central heating radiators in the UK continues rising. Despite the many options available, aluminium radiators remain the best choice for buyers. Read on to learn the advantages of using them. 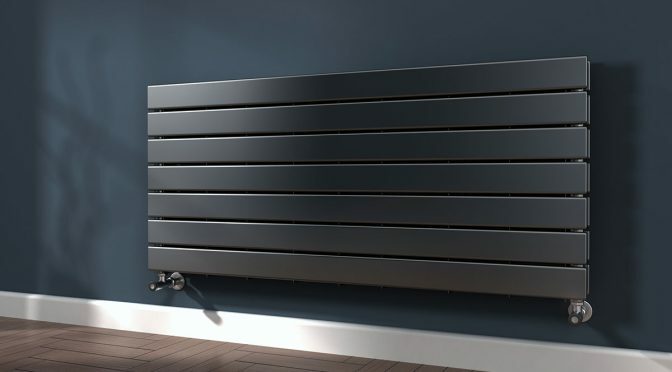 There are many factors to consider when buying a radiator. You have to consider the heat output, size of your space, and where you’ll fit the radiator. You also have to consider its format, design, and finishing. Once installed, the good news is it won’t be difficult to use and maintain. Radiators are simple yet effective means of heating a home. They’ll use whatever power source you provide; be it gas, electricity, or oil. Aluminium is a readily available and abundant material. Manufacturers extract it from Bauxite. This availability makes it cheap to produce. Low production costs mean you will buy a radiator at a lower price than other materials. People love aluminium because it does not rust. This means it will last longer and it will be easier to maintain. This metal is also lighter than other radiator materials. Thus, you can install them on walls if there’s not enough space on the floor. Being light also reduces the cost of installation because it won’t need a lot of people. The best quality of aluminium is being a great conductor of heat. The metal can heat up quickly thus spreading heat in a room in a short time. This radiator does not need a lot of water. This makes it efficient. Conducting heat quickly also helps in energy savings. It means the radiator doesn’t have to be ON throughout. This bodes well for your energy costs. As a bonus, its conducting capabilities give more control over the temperature. You can adjust the heat to the level you need at a moment’s notice. Radiators made from aluminium are very malleable. Thus, whatever your interior design theme is, you can get a radiator that fits your vision. The manufacturer can give you a radiator with the shape and colour you want. It is important to use materials that are not very harmful to the environment. Radiators made from aluminium stand out because manufacturers make them using recycled materials. This gives us the system we need while still protecting the environment. It is clear that aluminium radiators are a great addition to your home heating system. They are easy to use, maintain, and restore. Moreover, they provide energy savings, protect the environment, and last long. Visit our website to learn more about radiators and other heating equipment. Previous PostHow to Stop Condensation in Your HomeNext PostHow Does a Thermostatic Radiator Valve Work?